"Thank you for meeting me here," Ajani said. Jhoira inclined her head. "I assume you want me to help the Planeswalkers you told me about." They stood on the newly constructed bridge of the Weatherlight. It was raised and suspended across the stern of the ship, with big windows that stretched from one wall to the other, providing a broad view of the bright morning sky of Bogardan, the workers' camp, and the beach and cove below. The others were out on the open deck below the bridge, where Tiana and Arvad were helping Shanna and Raff bring the rest of the supplies aboard and stow them below decks. Ajani's sudden appearance had caused some confusion. Even to people accustomed to magic, it was startling to see a tall muscular humanoid with white fur and the head of a one-eyed predator cat materialize out of thin air. Fortunately, most of the work crew had already boarded the supply ship for their voyage home, and Hadi and Tien and the few others who had remained on the beach to say goodbye to Jhoira were used to strange occurrences. Jhoira had only met Ajani once before, and briefly, when he had told her he was a Planeswalker and asked for her help. They had arranged to meet again here, but Jhoira had meant to arrive early enough to be able to reacquaint herself with the completed Weatherlight first. Now she had to make herself concentrate on the conversation when all she really wanted was to run her hands over the smooth new wood of the ship's navigation console, to take the stairs at the back of the bridge and go down to examine the rebuilt engines and explore the maze of cabins and common rooms and the galley. Molimo's seed had clothed the skyship's bones in a way that was both completely different and hauntingly familiar. "Yes, we must meet them," Ajani said. He didn't seem to notice Jhoira's distraction, obviously occupied with his own concerns. Whatever he was about to say, he seemed reluctant to get on with it. "But first I must ask . . . 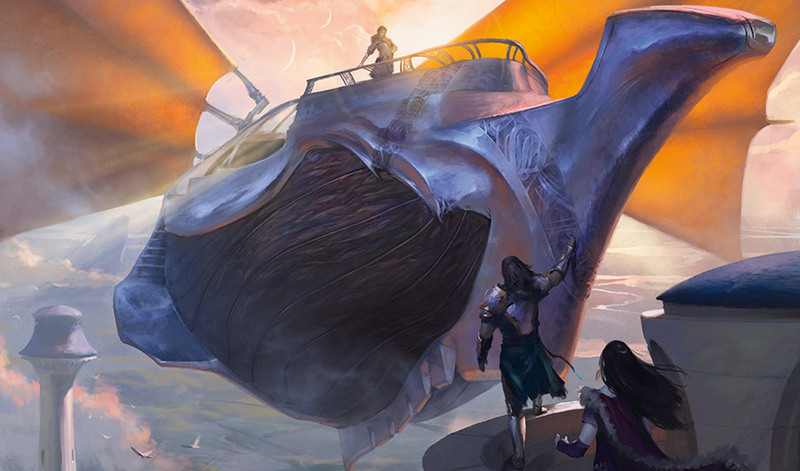 Were you aware the Planeswalker called Karn was found and rescued from the Phyrexians? That he has returned to Dominaria?" "No! I wasn't—are you certain?" The shock and the rush of relief made her heart pound. Ajani nodded gently. Jhoira turned away and covered her face, wanting the well of emotion to be private. Her mechanical owl landed on her shoulder, chirping anxiously, drawn by her sudden agitation. I'm all right, she told it, and with another thought sent it down the stairwell hatch and out to the Weatherlight's deck. She took a deep breath and turned back to Ajani to ask where Karn was. 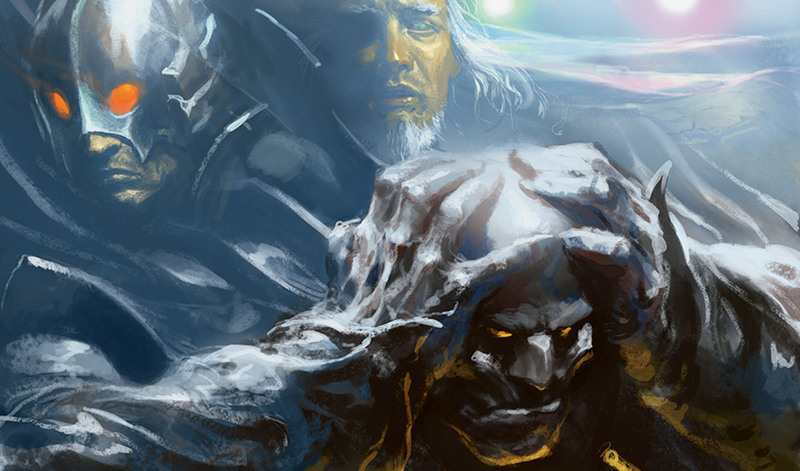 Ajani's features were so different it was hard to read his expressions, but the dismay in his gaze was eloquent. Instead she asked, "Is something wrong? Is Karn hurt?" "Not hurt." Ajani hesitated. "You also knew the Planeswalker Venser?" "Yes." Jhoira noted the past tense and felt sick. "Please, just tell me what happened." Ajani let out a breath. "Venser gave up his spark to Karn, to rescue him. Venser did not survive." Jhoira paced away toward the compass stand, running a hand through her hair. She didn't want to believe it, but it was exactly the kind of thing Venser would do. After her relief for Karn, this was a crushing sadness. Venser had been barely older than Raff when she had known him, and she had loved him as a friend, though he had felt more for her. Her back to Ajani, she asked, "Is this why Karn hasn't come to find me?" Ajani shook his head. "I don't know. But . . . it seems a natural assumption." I'll have to find him, Jhoira thought. Karn was her friend too, and their grief for Venser was shared. She rubbed her eyes. There were other things to deal with first. She said, "And Phyrexia?" "An entire plane has fallen to them, but they've been contained there. No other planes should be in any danger." Ajani sounded reassuringly certain. Jhoira wanted to ask more, but she heard Tiana call to her from the deck. The Weatherlight was ready to get under way, and she didn't want to waste another moment. The work to come would be a welcome distraction. She ran her hands over the navigation console, grounding herself, and said, "Thank you for bringing me this news. It can't have been an easy burden. Let's fetch your friends, shall we?" Ajani nodded, his expression gentle, obviously recognizing the hollowness of her smile and her desire for privacy. 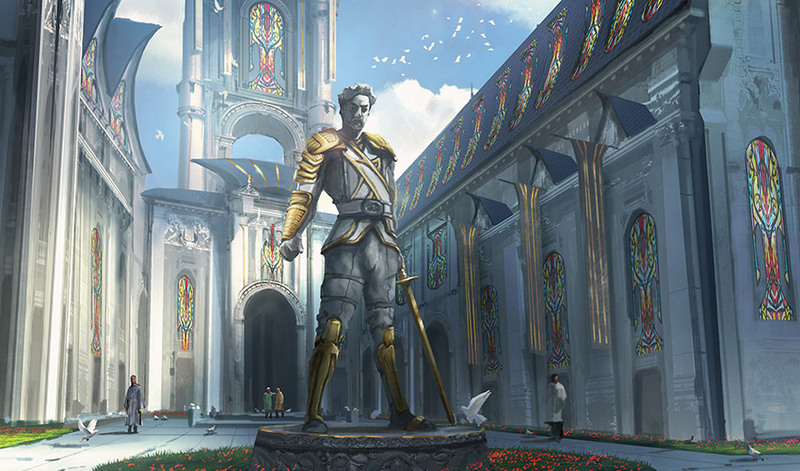 The gates to Benalia City were impressive, constructed of the magical Benalish stained glass, gleaming in the bright morning sun. They were well over four stories high, set in soaring gray stone walls topped with narrow towers and arches. Gideon would have appreciated the sight more if the passage inside hadn't been blocked at the moment. A dozen battle angels had planted themselves across the roadway, stopping not only their party but all the market wagons and other travelers trying to get in around them. Gideon was on horseback, and didn't bother to dismount. Behind him were Liliana and a small troop of Rael's men-at-arms. Not bothering to keep the ironic tone out of his voice, he asked the angels, "Is there a problem?" The angel in the lead said, "I am Lyra Dawnbringer, commander of the angels of Serra. Your companion stinks of death magic and will not be allowed into this city." "Oh, please," Liliana muttered in disgust. Gideon drew in a calming breath. This was no time for a fight, particularly with people who should be their allies. "You see we travel with soldiers of Benalia," he began. Lyra interrupted, "You and they are welcome. The necromancer is not." Gideon was not in the mood. It had been a long ride here, and he knew Rael's aven messengers had already carried word of the battle ahead of them. "The 'necromancer' is a demon slayer. She has already killed three demons and was instrumental in defeating the Cabal in Caligo, and we've come here to kill Belzenlok." Liliana gasped in exasperation. "Why are you telling everyone our plans? Can you shout a little louder? I'm sure there's at least one Cabal cultist in the countryside who didn't hear you." Gideon set his jaw. "I'm not telling everyone, I'm talking to the commander of the Church of Serra." He pointed emphatically. "She's the one with the wings." "Oh, don't try to be sarcastic, you're not very good at it," Liliana said. "And that doesn't mean you can trust her. How can you have survived this long and still be so naive?" Gideon said over his shoulder, "The Church forces trusted us in Caligo and helped you with your particular problem. The least we can do is trust them in return—"
Liliana pointed out, "That isn't the least we can do!" "—And we already know Belzenlok knows we're here!" Lyra looked from Gideon to Liliana and back, one brow lifted. Thiago rode around them and offered her a folded packet. "Commander Dawnbringer, this letter is from Rael, battle angel of Caligo, where she personally vouches for the necromancer Liliana." Lyra took the packet and opened it. She asked Thiago, "Have they been like this the entire way from Caligo?" Thiago sighed. "Yes, Commander, every step." Lyra scanned the letter. After a long moment, she grudgingly admitted, "Very well. You may enter the city." Her tone deeply sarcastic, Liliana began, "Why thank you very mu—" but with one hard flap of her wings, Lyra shot into the air. The other angels followed, the displaced air stirring Gideon's hair and making his horse stamp. While Liliana muttered rude comments, Gideon was just relieved to have the obstacle removed. He turned to Thiago. "We need to find somewhere high up, the top of a tower. Do you have any suggestions?" Thiago said, "That, I can help with." White banners flew everywhere, and they passed through a plaza with statues of Benalish heroes in gold-plated armor. After the Morass, it was good to ride through a living city, bustling and energetic, with so many humans and aven in civilian clothing going about their business. There were still soldiers and knights, and even some of the giant winged horses being led through the streets, but while Benalia City was obviously well guarded, it wasn't under siege. Not yet, Gideon thought. 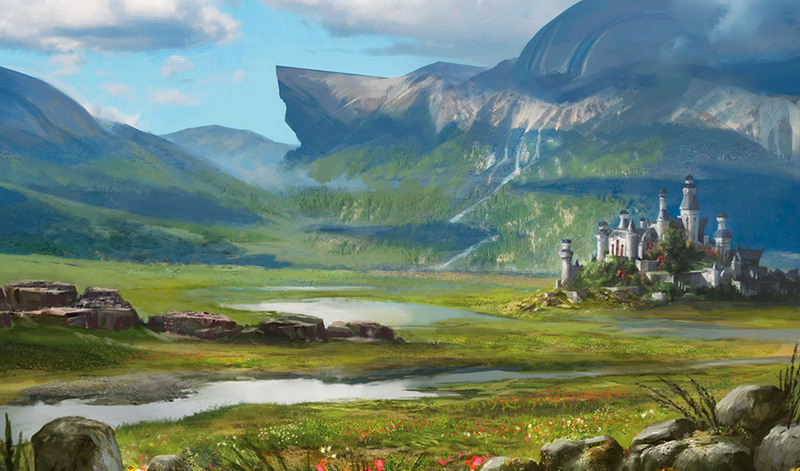 He would hate to see this place, and the prosperous towns and countryside around it, in the same state as Caligo. Thiago arranged for them to be allowed to wait at the top of one of the Benalish garrison's signal towers, which also had a landing platform for the convenience of angels and aven. Gideon had told him only that they were waiting for a friend, but, accustomed to the comings and goings of winged warriors, Thiago didn't seem to find this unusual. Gideon thanked him and he said, "It's the least I can do, after what you did for Caligo. Both of you. Good luck." Gideon glanced at Liliana to see what effect this had on her, but she had already turned away. She took a seat on a stone bench near the platform. On the journey here, he'd been worried about her. She still hadn't spoken about her brother, and Gideon wasn't sure she had been aware that he'd heard Josu's last words to her. The Chain Veil had taken its toll, draining her strength, but they had had to leave for Benalia City almost immediately. As he took a seat beside her, she said, "So why did Ajani want to meet in midair?" Gideon leaned back against the wall, easing his still-sore shoulder. "I don't know. I'm sure it's a good reason." Liliana countered, "I'm sure it's a pretentious reason." They waited long enough for Liliana to drift off to sleep. Then Gideon spotted something small and gold flitting through the air and stood, thinking it was a messenger. It landed on the parapet, and he saw it was a small mechanical owl. 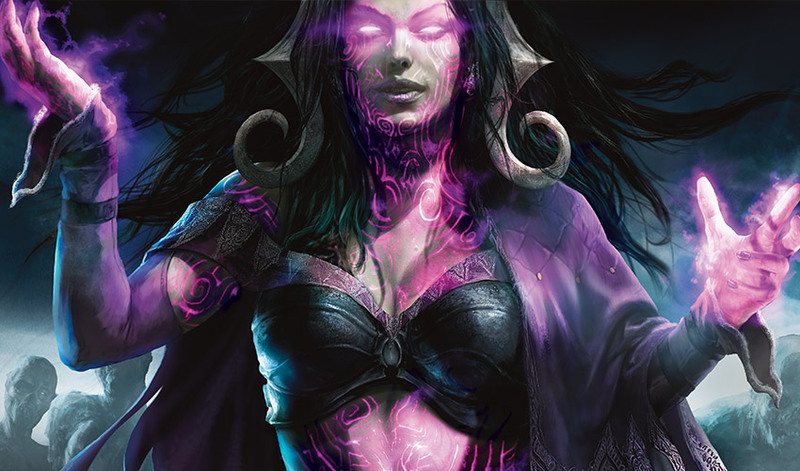 "That's some very complex magework," Liliana commented with a yawn, getting to her feet. "And so is that," Gideon said, as the giant skyship dropped down toward them. The argument started as soon as they boarded the Weatherlight and went up the steps and into the spacious bridge. The front section, where the wheel and compass pillar stood, was almost all window and looked out over a spectacular view of Benalia City. Ajani barely gave them time to meet Captain Jhoira, Shanna Sisay, and Raff Capashen before he asked Gideon, "Where are the others? Why aren't they with you?" forcing Gideon to launch into a long and awkward explanation. Liliana stood there, teeth gritted, as long as she could take it. The long-buried part of her who had remembered she was a daughter of the House of Vess found it all very rude and disrespectful. Gideon was his usual annoying self, standing there explaining with apparent calm. At least he left out any mention of her brother, making it sound like they had laid the Caligo Lich to rest simply because it was the only way to defeat the Cabal force. It was a relief; she could imagine Ajani might even be sympathetic, at least regarding Josu, and she couldn't stand the thought. His pity would be more than her temper could take. And Josu's reference to the Void still sent a chill through her bones. What could it mean? Ajani said sorrowfully, "I was afraid of this. I don't know how we can defeat Nicol Bolas now. You should not have gone to Amonkhet." Liliana couldn't take any more. The Chain Veil was like a weight at her side, sapping her strength even this long after using it. She wanted a raging argument with someone and Ajani was a much better target than Gideon. With icy control, she said, "You might stop moaning at us long enough to listen to our plan. Or let us sit down. Gideon is still recovering from being wounded, you know, and not that you care, but I'm not feeling well either." The young mage Raff tried to offer them a seat but Ajani turned his regretful gaze on her. "I know most of this is because of you, necromancer. You and your demons—"
"Liliana, stop," Gideon interrupted. "Ajani, this was my decision and I accept the consequences." Ajani turned back to Gideon, exasperation in his gaze. But his tone was still irritatingly calm as he said, "Accepting the consequences is admirable, but the damage has been done on Amonkhet, and there is no way to repair it." "I can't argue with that," Gideon said. Liliana seethed, but at least Gideon's weaponized calm was aimed at Ajani. Maybe they could calmly "more in sorrow than in anger" each other until they turned to stone where they stood. Not a bad idea, Liliana thought, and started to seriously consider how to make that happen, at least as far as Ajani was concerned. Gideon continued, "But we failed on Amonkhet because Liliana was still hamstrung by her demon pact. 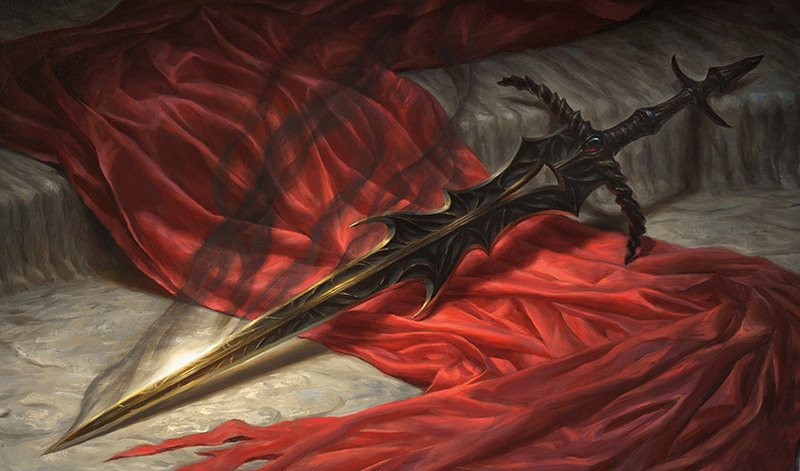 Once we kill Belzenlok, she will be free to use her full power against Nicol Bolas." Ajani persisted. "You need to listen to me, and not waste your time here." "Ridding Dominaria of Belzenlok is a waste of time?" Liliana burst out. "That is not what I meant," Ajani said, so patiently that Liliana snapped like a twig. "You didn't see what he did to Caligo!" she burst out. "Everything I knew, destroyed, turned to mud and rot. We have to stop—we have to—" She realized abruptly she had said more than she meant to, that she had exposed herself terribly. The new people were staring at her sympathetically; Shanna in particular was nodding as if she understood perfectly, and it was all horrible. Liliana folded her arms and lifted her chin, determined to brazen it out. "I need to be free of my pact before I can fight your battles for you, Ajani, it's just that simple." Ajani didn't answer, merely studying her with his one good eye. Gideon said, "We intend to continue the fight, Ajani. But we must destroy Belzenlok first." Ajani regarded Gideon steadily, then his gaze moved back to Liliana. She knew she looked stubborn and angry and distressed, and tried to compose her expression into her usual contemptuous sneer. She wasn't sure she managed it. Ajani seemed to reach a decision. Finally, he spoke. "I see. I can't help you here. I must find more Planeswalkers to join the battle against Bolas." Gideon didn't hesitate. "We'll join you as soon as we can." Ajani gave him a grim, respectful nod. "Take care." Golden shadows formed around him as he turned away, as if he stalked through a field of high grass. Then a heartbeat later he vanished as he walked from the plane. Raff waved at the empty spot he had left. "Bye, it was nice meeting you. Come again whenever you want to have an inexplicable Planeswalker confrontation in front of total strangers." Shanna nudged him. "Not now, Raff." Gideon let his breath out and turned to Jhoira. "I'm sorry to argue on your bridge. Obviously Ajani intended us to leave with him. If you'd like us to go—"
"Not at all." There was steel underneath Jhoira's calm. "Ajani may have his plans, but I've had this ship reconstructed for the sole purpose of fighting the Cabal, and destroying Belzenlok is an excellent first step. We'd welcome your help." "Why?" With effort, Liliana kept her tone inquiring instead of accusing. She didn't want to turn down help and she didn't want to leave this obviously comfortable skyship, but she didn't want to be fooled again. "What's your interest in killing Belzenlok?" Jhoira smiled a little. 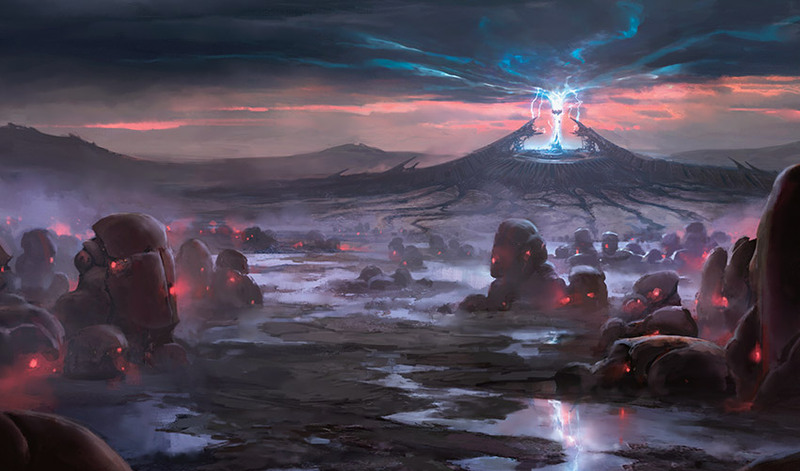 "I'm not a Planeswalker; this place is my home, and my interest is in protecting it. I've been doing that since before the Phyrexian invasion." That was interesting. Liliana raised her brows, and Jhoira added, "I'm older than I look." With a shrug, Shanna said, "I fight the Cabal in whatever form it takes. Getting rid of Belzenlok will make that much easier." Raff waved. "I'm new. I just started today, really. And you haven't met the others yet, but Tiana's an angel of Serra and Arvad's . . . Arvad, but he wants to destroy Belzenlok too." Liliana didn't sense any deception, and being an expert at deception herself, she should know. Part of her didn't want new allies; she wanted to be alone with her anger and the painful revelations about her family. But she knew she was even more incapable of killing Belzenlok on her own now than she had been when they first arrived on Dominaria. She glanced at Gideon, who said, "We all have the same goal, whatever our different reasons. Let's sit down and discuss how we can help each other." Jhoira led them down the stairs to a compartment on the lower deck below the bridge. It was a wide room with a meeting table and more long windows looking out on the sky and the city below. They also met Tiana the angel, who seemed less arrogant than the other angels Liliana had encountered, and Arvad, who was an apparently reformed vampire. As they took seats, Liliana admitted, "I know we'd be fools not to cooperate. But we need a new plan. My old one fell apart when our Planeswalker allies left." Ever the deluded optimist, Gideon said, "I think we can get Chandra back . . . if we can find her." Wearily, Liliana told him, "Even if she's still on Dominaria, her power isn't enough to get us into the Stronghold. Without Nissa, we don't have the brute force." She made a frustrated gesture. "And we still have to find some way to kill Belzenlok." "We need information." Jhoira steepled her fingers. 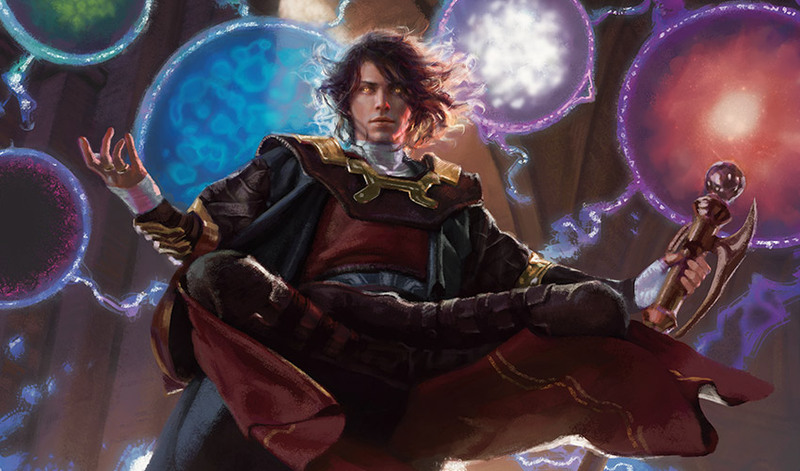 "I've been watching the Stronghold for years, and one thing I've learned is that its defenses are constantly changing, and the ways in and out are rebuilt on Belzenlok's whim." Liliana grimaced. The situation was even worse than she had expected. But Shanna said, "We need to capture a high-level Cabal agent. They report to Belzenlok personally, they'll have information about the Stronghold's current structure, the traps that surround it, the best way to get inside." She looked at Tiana. "Would there be one here? Would the angels help us find one?" Tiana considered it, her expression dubious. "The angels assigned to Benalia City search for agents and kill them. I don't think we'd find one alive here." The vampire Arvad had been listening quietly. He said now, "Tiana's right. If there's anywhere in Dominaria where Cabal agents have no hold, it's Benalia City. We'll have to go somewhere else to find one." Raff bounced enthusiastically. "Oh, I know. The last time I was in Tolaria West, there were rumors about Cabal agents in the academy. It's not far, especially as fast as the Weatherlight travels. We could be there before sunset, see if they've captured any—"
All this constructive discussion was making Liliana's mood improve, in spite of herself. Also, traveling in fast comfort instead of traipsing all over by foot or horseback or boat sounded ideal. She said, "If they haven't, we may be able to flush one out of hiding." "It's a good plan," Gideon agreed. Jhoira glanced around the table. "Then we're decided. To Tolaria West it is." Barely half the day later they were approaching Tolaria West, and Liliana went out on deck with the others. She had a chance to sleep on a bunk in one of the comfortable cabins, and she felt less like something that had been chewed up by undead crocodiles. They had been traveling over an astonishingly blue sea, and now they were coming up on a series of low wooded islands surrounded by reefs and sand bars. 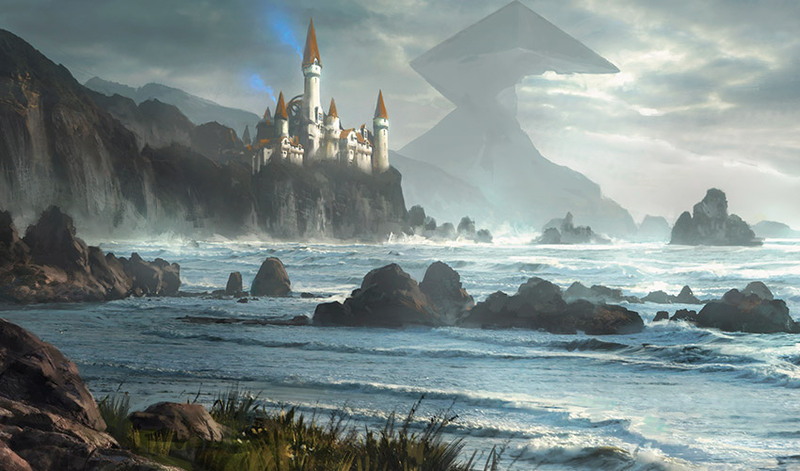 On the shore of the largest stood the Tolarian mage academy, a complex of white stone buildings and towers with steeply pitched red tile roofs. One high tower had a giant instrument built into it that looked very like an astrolabe but probably wasn't. 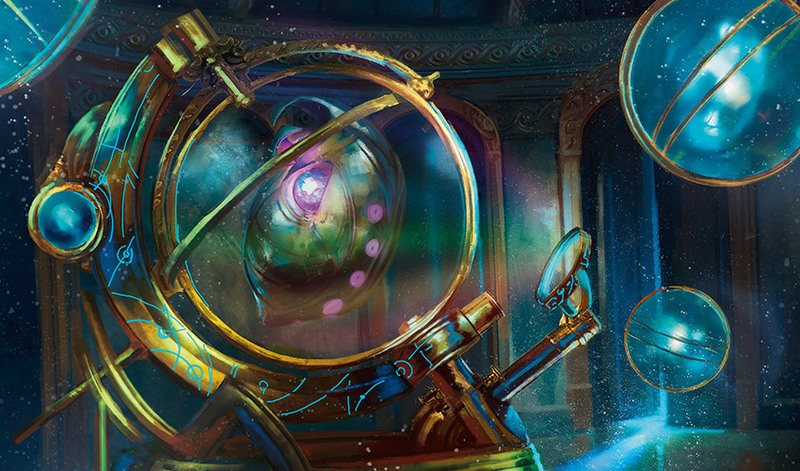 It was obviously the same sort of magic that had produced the mechanical wonders of the Weatherlight, Jhoira's owl, and the artificer's devices Raff carried. By the time the Weatherlight arrived at the tallest tower, important-looking people were waiting for them on a broad balcony. The good thing about arriving in the Weatherlight, Liliana supposed, was that you didn't have to kill anybody to get the attention of the authorities you needed to speak to. As they drew close enough to see who was waiting there, Liliana sensed Jhoira tense up. "Problems?" she asked. "No." Jhoira sounded somewhere between regretful and impatient. "Just an ex-lover I wasn't expecting to see today." "Ex-lovers are more trouble than they're worth," Liliana agreed. "They disappear, and don't tell you where they're going, and ruin all your plans." Gideon, who she hadn't realized was in earshot, said, "I'm sure that's not what happened. Jace would never—"
"It's none of your business," Liliana snapped, cutting him off. The last thing she wanted was Gideon's opinion on her love life. In fact, the last thing she wanted was Gideon's opinion, period. They left Tiana and Arvad on the deck to guard the Weatherlight, Tiana leaning on an enormous spear and Arvad's fangs gleaming in the fading sunlight. It was a precaution Gideon approved. Any Cabal agent who tried to steal aboard would find they had come to the wrong skyship. As Gideon climbed down the ladder, the others stood on the broad stone balcony. A group of blue-robed Tolarian academicians waited for them, the strong sea wind pulling at their robes. In the lead were an older man with hard features and a deceptively young-looking mage with a mane of brown hair. Gideon didn't have any trouble guessing which one was Jhoira's former lover. The young mage stepped forward. Composed and cool, he said, "Jhoira." Jhoira tilted her head, her expression just slightly ironic. "Jodah." Raff interposed hastily and introduced the older man. "This is Naban, the Dean of Iteration." Naban nodded a greeting. "To what occasion do we owe this honor?" Something about the man's tone said he was very busy and they were interrupting important work. Well, that's too bad, Gideon thought, in no mood to care. Their mission was too urgent. Jhoira explained, "We've found ourselves in need of information from a Cabal agent. Raff said you were having a problem rooting them out of the Academy." Naban lifted a reproachful brow at Raff, but Jodah's expression went thoughtful. He said, "Give us a moment, please." As he stepped away with Naban to talk, Gideon said softly to Jhoira and Shanna, "And what do you make of that?" Jhoira watched the dean speculatively. "I think Raff was right about a problem with Cabal agents." Shanna's gaze was on the other academics. "There's been trouble here. They're nervous, upset." As they watched, Naban appeared to be reluctantly convinced by Jodah's argument. Jodah stepped back over to them. He said, "I'm not sure how much we can help you, but there's something we'd like you to take a look at." Gideon stood with his arms folded, watching as Liliana took a seat on the next pallet and performed her spell. This corpse was another young woman, dressed in the blue and white robes of a student. The spell took hold and violet sparks of light chased across the corpse's graying skin. Its eyes opened and it sat up, its gaze locked on Liliana. She said, "There you are. Now tell us what you saw." They were in one of the academy's risk laboratories, a place where dangerous magical experiments were performed and strange magical objects examined. It took up the whole top of one of the larger towers, but so far they had only seen this main room, a wide, high, barrel-vaulted space, with narrow windows barred with metal and warded by magic. The light from the windows had dimmed as sunset approached, and glowing crystal globes, floating on little platforms constructed by artificers, hovered in the air. Lying on the floor were nine corpses, students and staff of the academy. It made a grim sight; most of them were young, and from the expressions on their rigid features, they had died in torment. Raff was over at a table, examining the magical devices the murdered people had carried. Jodah stood with Jhoira and Shanna a few steps away, quietly answering their questions. He was saying, "The stairwell they were found in leads to the archives and three different laboratory towers. We have no idea which one the intruder was trying to reach." "And there was no sound at all?" Jhoira asked, frowning in consternation. "Nothing," Jodah told her. He glanced at the bodies, regret obvious in the crease of his brow. "We're still attempting to assemble a timeline of events, but it happened very quickly." The corpse whispered to Liliana, "The floor turned to water, I sunk into it. I couldn't breathe. There were serpents in the water, like the ones off the outer reef when I was young, they came at me—"
Liliana's mouth twisted in impatience. "Yes, yes, but did you see anyone? A face you remember?" Liliana tapped it on the forehead. "Never mind, then. Back you go." As the corpse sank back into immobility, Liliana pushed to her feet. "It's dementia magic all around, I'm afraid," she said briskly. 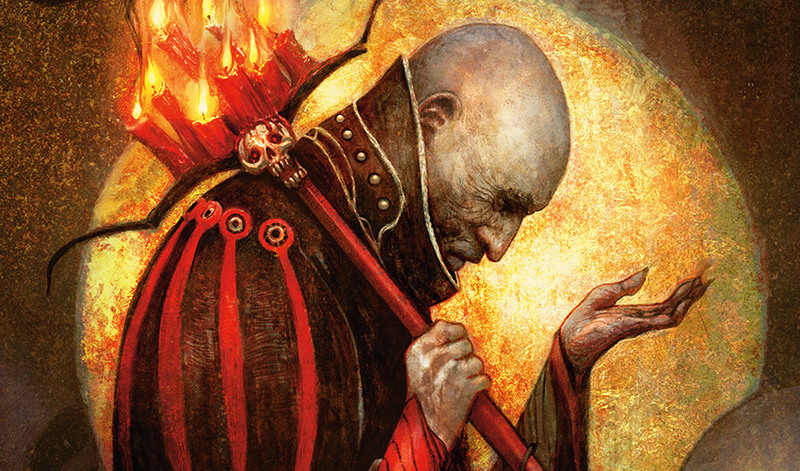 "It has to be a Cabal cleric, but none of the victims saw who cast the spell." Shanna had her arms folded, her brow furrowed. "This isn't right." Liliana shrugged. "You all said you wanted me to interrogate the corpses." "No, not that." Shanna waved that away. "The whole situation. I've hunted Cabal agents in the cities of Jamuraa, and this is not how they operate. They're far more subtle than this, they have to be." Puzzled, Raff looked away from the devices on the table. "I thought they were like berserkers." "The grimnants and other fighters, yes," Shanna told him. "But the agents have to be able to blend in, to get into the places or get near the people they want to spy on." She gestured at the line of bodies. "Killing all these poor people in one go is something they certainly would do, but it's also drawn too much attention. They failed to get into the archives or the other laboratories and now the entire academy is alerted." Gideon thought it was a valid point, but Liliana didn't look convinced. She said, "Maybe it's just a very stupid agent. Cabal cultists aren't the brightest bunch, you know." "Then why hasn't this one been caught yet?" Jhoira countered. Gideon looked at the corpses again. He was certain Shanna was on the right track. "So you think this was a distraction, but from what?" Jhoira turned to Jodah. "There haven't been any other disturbances in the academy?" The two seemed much more reconciled to each other's presence with a problem to work on. Gideon found himself wishing Liliana and Jace could be that efficient. "No, the entire academy has been on alert, and we've sent warnings to the other islands." Jodah's expression was grim. "It did occur to us that this might have been an attempt to draw attention from another area of the academy." Shanna paced along the line of pallets. "Can you tell us what exactly happened when the dead were discovered? What steps were taken?" Jodah considered it. "Healers were summoned to make sure there was no hope of revival. At the same time, the archives were searched thoroughly, and we made sure . . . certain seals remained intact. By that time the healers had determined the victims were killed by spellcraft, so the bodies were brought here to this laboratory for examination." Shanna turned and lifted a brow. "Brought by who, exactly?" "By the healers' assistants, some students . . . " Jodah stopped, eyes narrowing. Jhoira smiled. "Oh, that's clever. Raff, guard that door." Gideon drew his sword. "We need to search." It was a relief that their quarry might be nearby, trapped in this secure tower somewhere, but they had to be careful. This Cabal agent had nothing to lose now. Raff hurried to the main entrance to put his back against the heavy carved doors. "Uh, what exactly did we figure out?" Liliana made an annoyed gesture. "This place was the target all along." Gideon stepped into the open archway that led further into the laboratory's tower. The foyer was clear, no one lurking in the shadows. "The agent killed these people so they would be brought here to be examined. This many victims would need at least twice as many attendants to carry them—"
Jodah's expression had gone hard. He reached Gideon's side and said, "We didn't count the students who came to help. We don't know how many came in and how many left." "Do you have any idea what the agent might want in here?" Jhoira moved to the stairwell to look upward and Gideon joined her. There were six levels of tower above them, with balconies and landings extending out over the well. The staircase wound up, with no obvious support except magic, touching the walls only at the landings. The tower was complex, and seemed larger on the inside than it had appeared from the outside. It would be a long, difficult search unless they could narrow it down. Jodah made an impatient gesture. "There's a great number of devices and partial devices stored here. It could be anything—"
"What about ancient artifacts?" Liliana strolled up behind them. "This is Belzenlok we're talking about. He's not going to be interested in some artificer's newly created device, he's going to want something old he can use to aggrandize himself." "That's right," Raff called to them from the outer door. "All those titles he's given himself! 'Eternal Patriarch of the Cabal,' 'King of Urborg,' 'Lord of the Wastes,' 'Master of the Ebon Hand'—'"
Peering up into the shadows of the stairwell, Jhoira gestured at Raff to stop. "Yes, he's been taking credit for every shift in Dominaria's history, every ancient cataclysm, and he's collected artifacts to supposedly prove his claims." It sounded more than plausible to Gideon. He asked, "Is there anything here that's particularly ancient or famous? Or both?" Jodah frowned in thought. "I think I have it. Come with me." Jodah led them up the stairs past the third level to a balcony, then through an archway. It opened into a large round chamber with tall shelves leading back into shadowy depths. As the others stepped inside, Gideon asked Jodah, "Is this the only way out?" Jodah signaled assent, and Gideon took up a guard position in the archway. As Shanna drew her sword and stepped to Gideon's side, Jodah strode to one of the shelves and lifted down a box. He cursed under his breath and showed the empty container to Jhoira. "It's gone." "But now we know we're right." Jhoira sounded satisfied. Liliana stepped forward to look into the empty box. "What was it?" Before Jodah could answer, Shanna said, "Quiet." She tilted her head, listening. "Someone's in here." Gideon heard the faint footstep. He raised his voice, "Whoever's hiding here, come out." The silence stretched, and some almost imperceptible change in the air made it more and more obvious someone was in here with them. Then a rustle sounded from a library bay on the far side of the room. 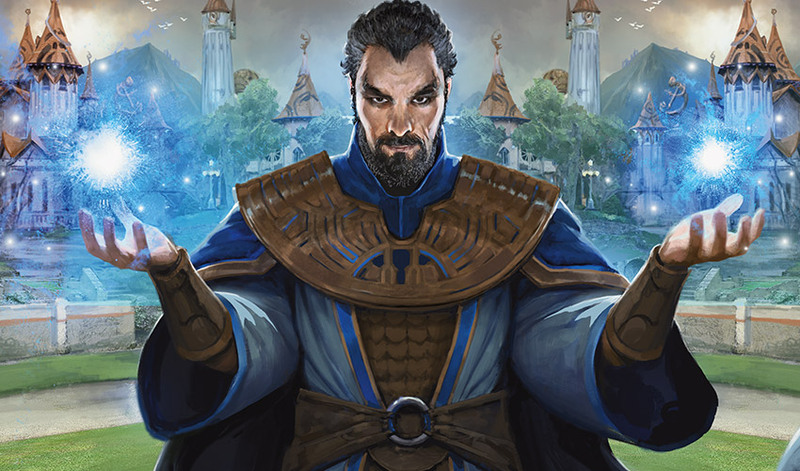 A young man in Tolarian student robes stepped out of the shadows. He said, "I'm sorry, Magister, I was just working here. I'm Thom, studying artificing with Dr. Arongi." Gideon lifted his brows. As an excuse, it was somewhat lacking. But he thought it was also something a young student might well do. More skeptical, Jhoira commented, "Today, with a pile of murder victims in the main laboratory? That's dedication." Jodah said coldly, "You're not one of the students assigned here." Thom moved forward, his expression contrite. "I'm sorry. I helped carry the bodies in. One of the healers said more help might be needed, and so I stayed, and I started to look at these texts." He smiled earnestly. "I just forgot myself. I've never been in this tower before." The young man seemed so innocent that he made Raff looked like a jaded rake. Gideon was tempted again to believe him, then thought, If I were a Cabal agent, this is exactly the way I'd want to appear. Jodah appeared unconvinced. Jhoira watched Thom like a hawk about to pounce. She said, "And what do you have in your hand, Thom? It's an artificer's device, isn't it?" Thom's expression turned serious. "Yes, I found this lying on the floor where the others were killed." He started forward, lifting the device up. "I meant to tell the healers but—" A dark globe of death magic appeared in the air and shot across the room toward Jodah. Jhoira moved so fast it was like she had teleported. Suddenly in front of Jodah, she flicked her fingers at the approaching globe. The air in front of her seemed to harden somehow, and when the globe struck it, it broke like a glass bauble. The fragments bounced back toward Thom. Gideon shouted and lunged forward, but Liliana was faster. Purple bolts shot from her hands as the lines on her skin flared. Thom took the hit in the chest and stumbled backward. But even as he flailed, he cast a spell of his own, enveloping Liliana in a black cloud. She gasped and staggered. Another cloud flowed toward Gideon almost immediately, but his sword glowed golden with his shield spell and turned the cloud back toward Thom. Shanna flung herself forward right through it. Gold sparkled around her as she slammed into Thom's chest. She knocked him flat and Gideon stepped forward to kick the magical device away from his hand. Abruptly Thom's struggles stopped and his body went rigid. Gideon glanced back to see Jodah stood beside him, one hand raised. "He's harmless now," Jodah said. Gideon gave Shanna a hand up and they both backed away. Jodah gestured again and Thom's body lifted off the floor. "I'll take him down to the main laboratory where you can speak to him." He conducted the body out, and Jhoira and Shanna followed. Gideon stopped to ask Liliana, "Are you all right? I saw something hit you." Her skin was pale and there were beads of sweat on her brow. But her mouth twisted in the familiar expression of contempt. "I'm fine. A little dementia magic hasn't much effect on me." Gideon hesitated, then had to ask. "You saw Josu, didn't you?" Liliana glared at him, then the glare faded and she looked away. "The cleric should have chosen something else. I see Josu all the time, now." Then the glare returned. "It's not a sign of weakness, so if you tell anyone—"
Gideon sighed. "Yes, I know, tear me limb from limb, unspeakable torments, and so on. Let's see what this Cabal agent has to say." In the laboratory's main room, Jodah sent for Naban and the other academy deans to hear the agent's confession. While they tried various magical means to get the information out of their captive, Jhoira found herself with a chance to talk to Jodah. His expression was opaque, but she knew him well enough to know he would hold himself responsible for this breach of the Academy's security. She said, "You can't personally check all the students." "Nine people died. Next time it could be more." He looked down at her, seemed to really focus on her for the first time. "You could stay here and help us. With you, and your friend Sisay, we could find every Cabal cultist in the Spice Isles." Jhoira felt her jaw go tense. "She's not Sisay, she's Shanna, and I have my own plans." His expression wry, Jodah jerked his chin toward Liliana and Gideon. "To help these Planeswalkers. Are you sure that they aren't taking advantage of you?" Jhoira's pulse thumped in her temple. She didn't like the way he could make her this angry, this quickly. She didn't like the way he didn't seem to have an inkling that he was making her angry. She said, "I'm known for so many things, but I didn't think any of them involved being naive." As they stared each other down, Raff stepped up. "Captain Jhoira, I have a spell that might help." He glanced across the room, where Dean Naban was glaring daggers at him. "I'm not exactly supposed to have it, but I think it could be what we need. It involves drawing individual thoughts out of someone's brain. If I cast it while someone is asking him questions—"
Naban strode across the room. "That spell is forbidden for good reason. It's dangerous, something only master mages should even know exists." Jodah's brows drew together. "Where did you learn it?" Raff hesitated, looking from Jodah's consternation to Naban's anger. "Uh, I know as much as a master mage, I'm very advanced—"
"Raff," Jhoira said pointedly. Backed into a corner, Raff was falling back on old habits. "Do you like serving on the Weatherlight? Because I can just leave you here." "Sorry, sorry," Raff said hurriedly. "I snuck a look at a book I wasn't supposed to have access to. Just the once." He looked worriedly at Naban. "Sorry." Naban stormed off. Ignoring Jodah's attempt to interrupt, Jhoira said, "But you can actually make it work?" "I can try," Raff said. Jhoira eyed him. She could tell he was being honest now. "Then try." "I can't stop you," Jodah said, coldly, and walked away. Standing nearby, Liliana said with an eye-roll, "Oh, he disapproves." Then she added to Gideon, "I will not shut up. And stop elbowing me, it's like being bumped by a mammoth." It was late at night when they climbed the stairs to the top of the tower where the Weatherlight was docked. Gideon found it a relief to see Tiana perched on a railing. "How did it go?" Tiana called. "We got our agent," Shanna told her. "And the information we need." Liliana's mouth quirked. "The vampire's making dinner," she said to Gideon. He snorted a laugh. It had been a long and trying day, but now at least they had what they needed to make a plan. As Arvad prepared a meal for them, they sat down at the big table in the compartment below the bridge and went over the information Raff's spell had uncovered. As Gideon paged through Jhoira's notes, he saw it was going to take some time to figure it all out, as the spell had drawn out the answers to their questions in disconnected bits and pieces. He paused at an unfamiliar name. "The Blackblade?" he asked. "What's that?" 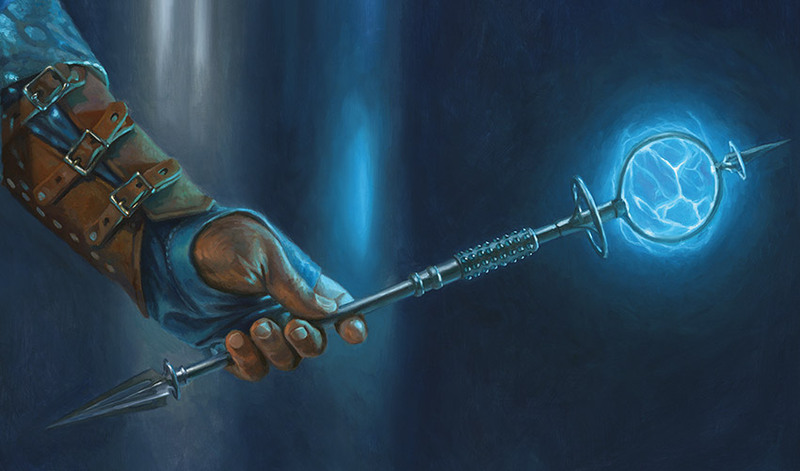 "It's a famous magical weapon," Jhoira explained. She was sitting across from him, nursing a cup of warmed wine. "It killed an elder dragon." That was encouraging. "Which one?" Gideon asked. "Piru, I think," Shanna said, taking a seat next to him. "Never heard of him," he told her. Shanna inclined her head. "Exactly." Liliana tugged the page away from him to read over it. "So this Blackblade would kill Belzenlok." "Easily," Jhoira said. "But it's a soul-drinker, created with death magic, and steals the life-energy of everyone it kills." Liliana was clearly intrigued. "A soul-drinker would be just the thing. Perfect for killing a demon like Belzenlok." She added, "If it's already absorbed the life force of an elder dragon, it should be more than powerful enough to do the job." Gideon wasn't surprised she wanted to use it; it sounded like just her sort of weapon. But he wanted nothing to do with it. He told her firmly, "A soul-drinker is not something we would want to use, under any circumstances." Liliana rolled her eyes at him and he ignored her. "It's also locked up in the Stronghold," Shanna pointed out. "Before we decide if we want to use it or not, we need a way to get inside." Still glaring at Gideon, Liliana sipped her wine. "If we could turn all the cultists and clerics to stone, it would be easy. I was thinking about turning people to stone earlier." Raff grinned at her. "What, like by stopping time? If only we could." Jhoira smiled, as if she had a secret she was ready to share. "We can't. But I know just the time mage who can."